Fracture of the middle part of humerus shaft. Osteosynthesis with metalic plate failed to hold the fragments in correct position. 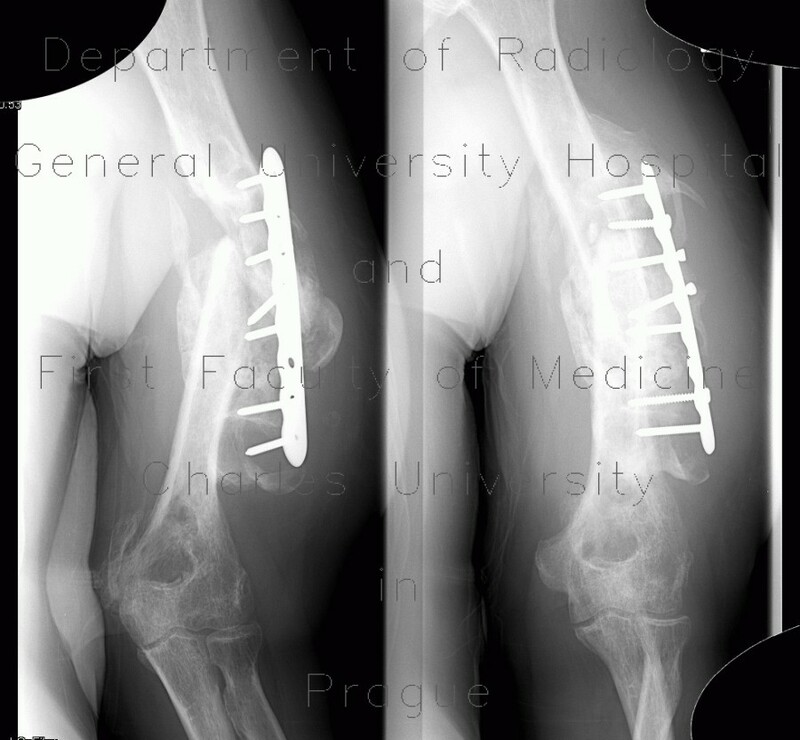 The fracture healed in angular deformity. Note the hypertrophic callus.